The school day had a new rhythm to it on National Poetry Day. Every lesson in all subjects for Year 7 and 8 at Epping St John’s School had a poetry element to it on the themed day. 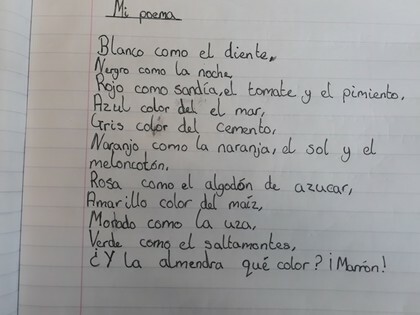 Students took part in poetry themes lessons in art, food, French, geography, history, maths, Spanish and science. Executive head Stephen Hehir said: “It is so important that students develop a love of poetry from an early age and have opportunities to explore this through a range of lessons. Poetry is not simply the domain of English!